Wowee! 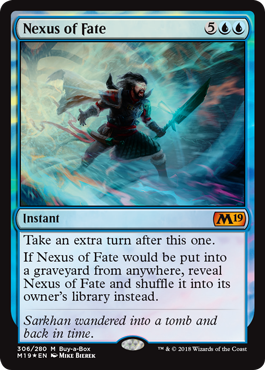 That’s a no-more-mill-for-your-opponents card in Commander decks running blue; awesome! We also have some great specials on booster boxes, and some excellent at-the-door deals for you too. You can always combine a box with one of our premium pre-release events to save some money on both, but if you just want the box, here’s a couple great options for you. You can grab your box below, or stop in to get the Deckbuilder’s special. 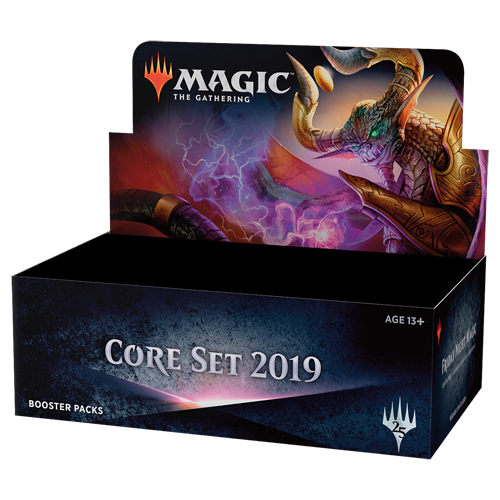 Booster boxes may be picked up at pre-release, but if you don’t make it to pre-release on July 7 or 8, your box will be available starting on Friday, July 13 when Core Set 2019 gets it’s full release.